I must ask how those bottles of coralline are working so far! Hey thanks! I am watching your build too. 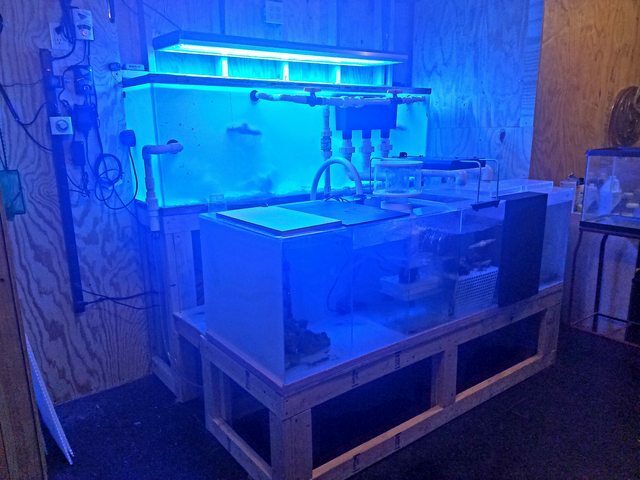 Getting a dedicated tank "life support" room is a game changer! Best of luck in your build too. I spent the last weekend focused on the display side, but have been on the road and unable to update with photos. Hopefully will get a chance tomorrow to update the progress. Wish I could say. 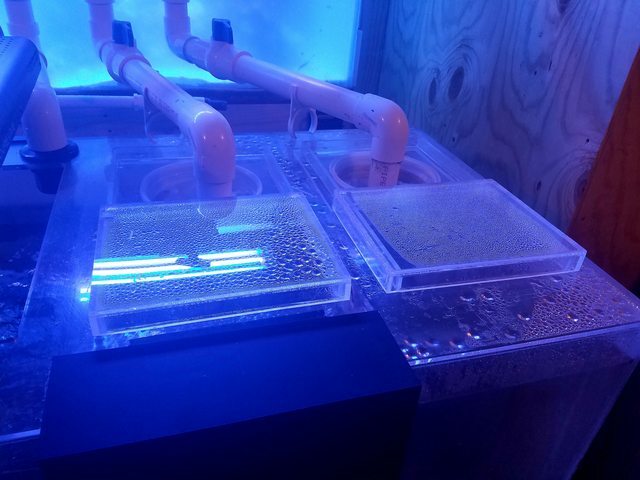 It's only been a week and a half since I introduced the colonies. Apparently in 8 weeks you should see spotting on the rocks and then it spreads to coat from there. Generally a 4 to 6 month process rather than the usual year+ for coraline growth. Interesting. Just keep me updated for when you see the first signs! If you see it to be pretty widespread when you get dots I’d probably go ahead and buy some. 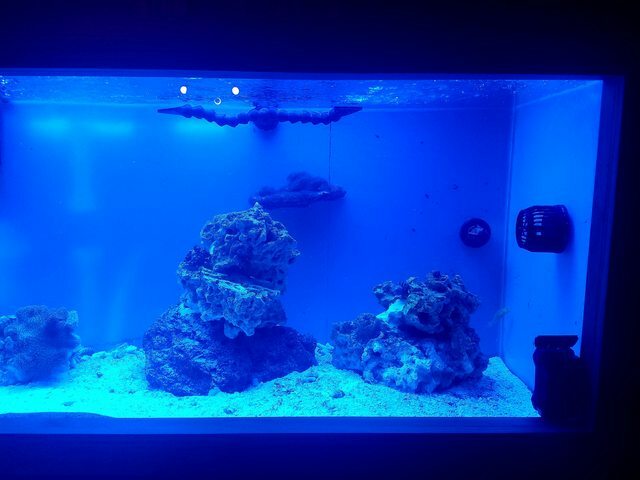 I’ve just setup a new tank and have been considering it. Will do. Apparently the reviews are good. They mix 6 strains in the bottle to ensure one matches your particular tank parameters. Nice thing with coraline is that the other go dormant, so if the tank changes, another should come to life. A little bit more progress, mostly behind the scenes. 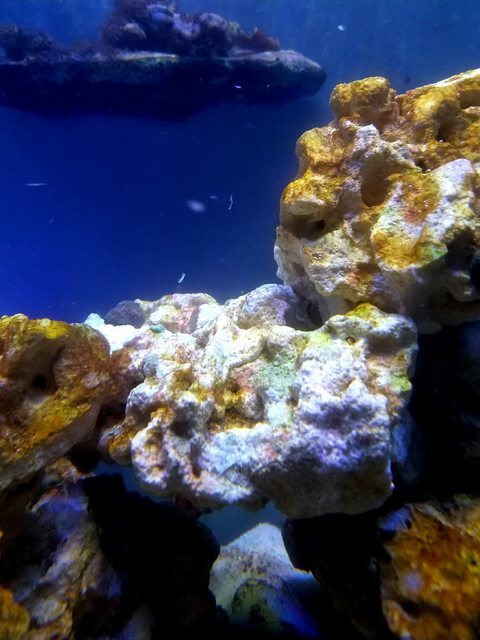 Started moving a few corals over the past few days and consolidated the transfer tank over into the sump. This kicked off a second diatom bloom, but levels are looking good. 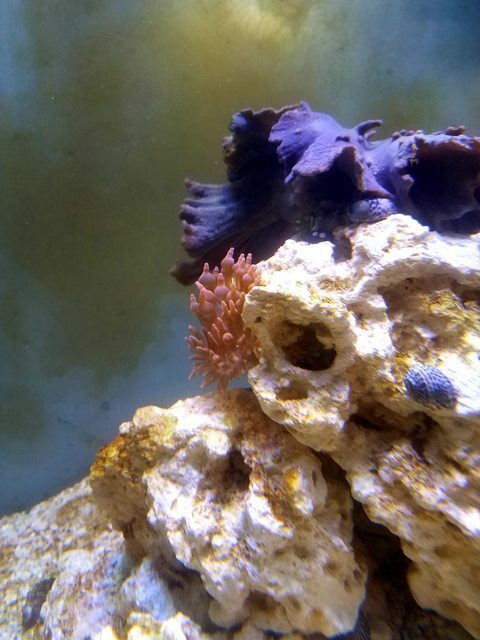 Surprisingly the coralline seems to be taking hold really well. We are only about 2-3 weeks into adding the bottles and already getting green and purple spotting on the rock work. 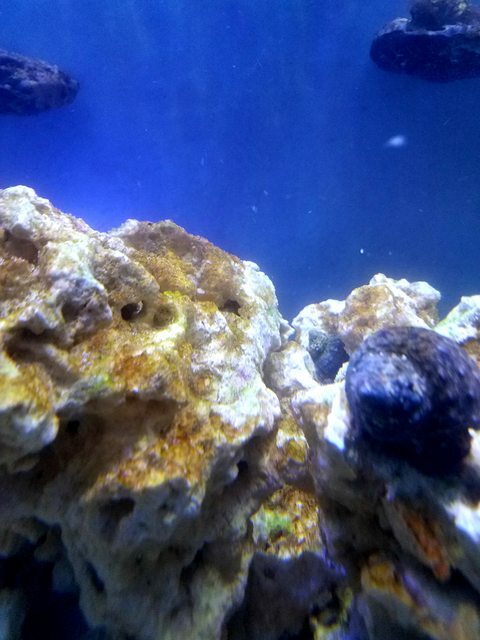 Also happy to note that the new rose bubble tip has found its home and is looking good. 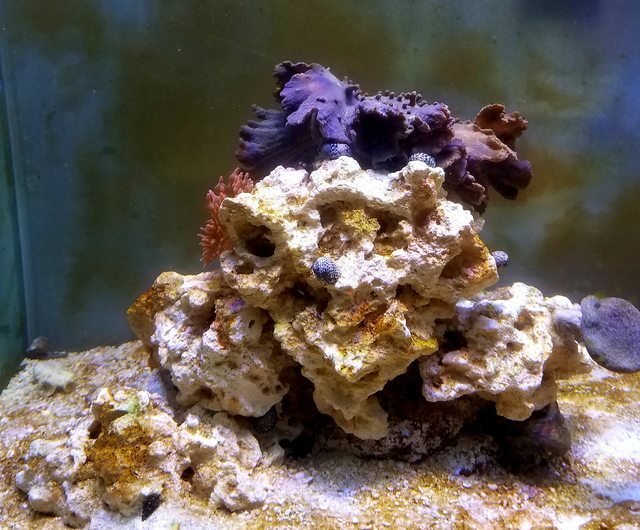 Definitely only good thing to say about the bottled coralline algae. We are at 3.5 weeks since I poured in the bottles. Rock work is a healthy shade of green with patches of red starting to take off. Bonus, all the inhabitants were out and happy for the photos! Looking great. I’ll have to look into ordering some bottles. Slow and steady on the build out. 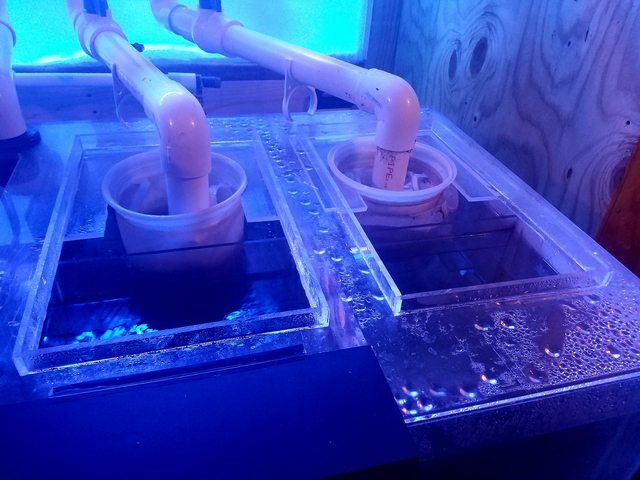 after one failed attempt, the skimmer is now installed and running. 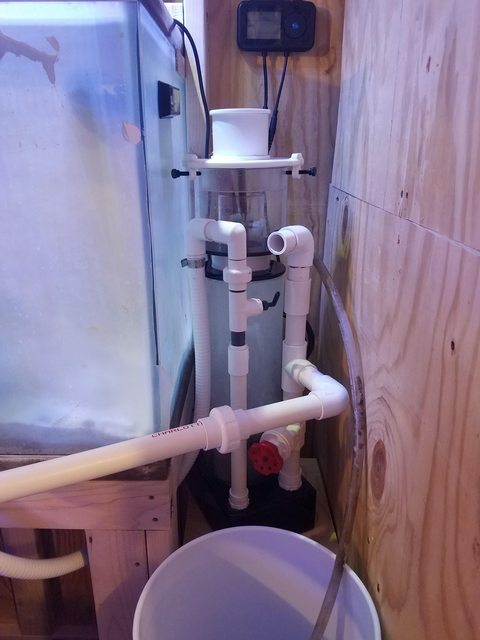 I also tossed a bit of chaeto in the second section of the sump. to encourage it along I built a little led light board out of some black hdpe and led grow lights I had hanging around in the workshop. Nothing too fancy, just a quick box to attach the strips, sized to the bay of the sump, but i think it is a nice clean execution. I can get some interior photos if any one is interested. It has been a bit of time since my last update and there is a reason. With heavy heart I say that I have truly been through the dreaded right of passage for all reef keepers. A near total system crash. Everything seemed to be going great and all were happy. I can home from a two day business trip to find an outbreak of velvet had taken over the aquarium. I jumped to with treatment, but it was too late. Within two days I lost everything, well almost, a few survivors gave me hope as well as the energy to bounce back and rebuild. In the time since, I decided to redouble my effort and get back on the horse, as it were, to come back stronger. The system got a full reset. 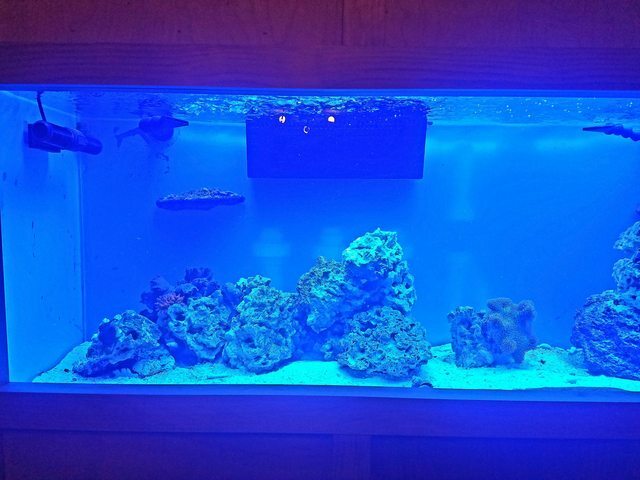 Pulled out the egg crate base, removed about 4 gallons of sand, reset the rock work, and gave it all a deep cleaning. 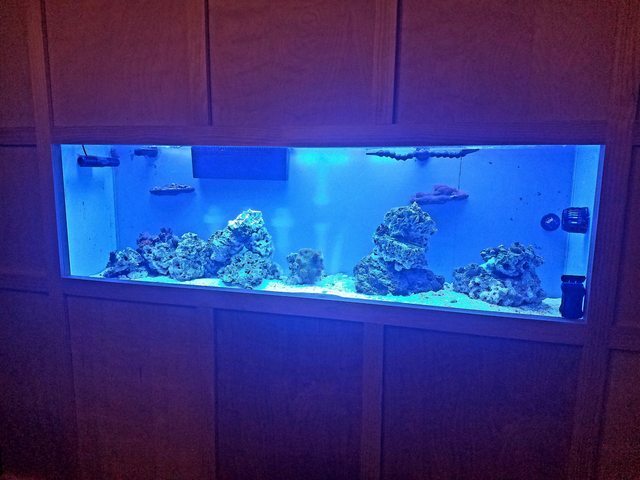 I also took the opportunity to upgrade the lighting to and ATI SunPower High output T5 set and the skimmer to a Monzter SM201. 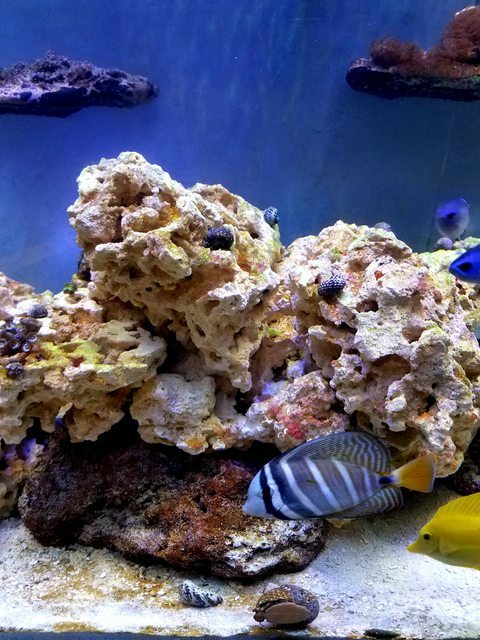 The surviving stock is a yellow watchman goby (seriously this guy refuses to die! 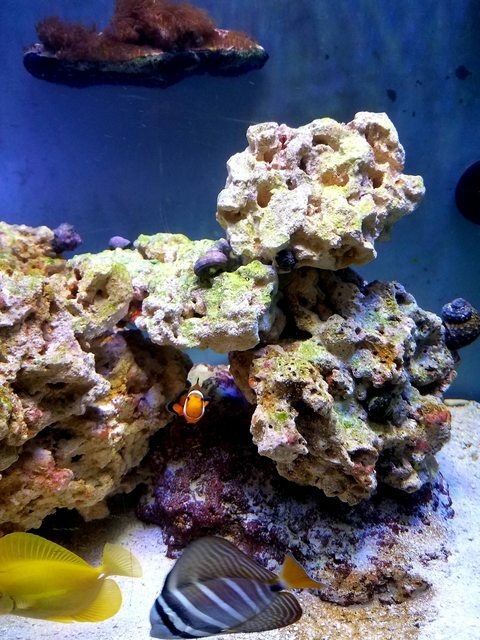 ), a pair of rose bubble tip anemones, and a few various toadstools, leathers, and zoas. I also took the weekend to correct a design flaw in the sump modification. the way i mounted the filter socks did not allow for overflow if the socks got clogged (which they managed to do on one long weekend). I added an acrylic lip around the opening and decided to polish off the look with a nice acrylic cap. 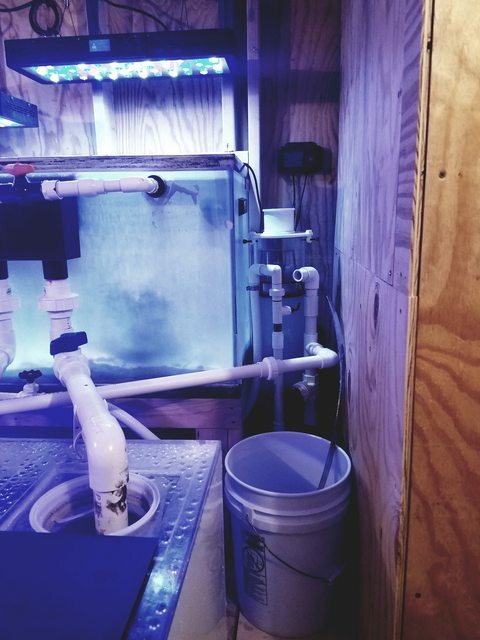 It accomplishes the need and I think really improves the look of the sump too. I will be adding acrylic lids ot the other sections as time allows. Nice improvement on the sump. Sorry for the fish losses. Sorry to hear, at least you were able to do some cleaning and upgrades! Curious to know your review on the ATI Sunpower once you've had it for awhile. 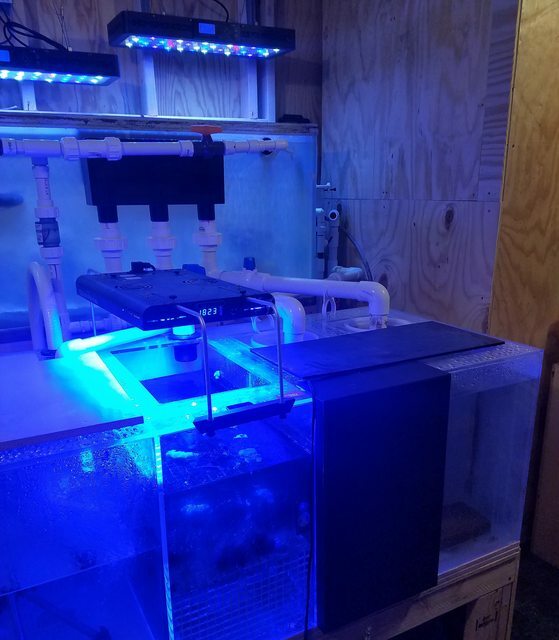 Sorry to hear about the fish - tank and sump look really nice! Getting back on that horse isn't all that bad! Thank you all for the support. I have high hopes for what comes next.